Any chance that the North Pole is in Canada? Drama. The S&P TSX appears to be a $2 trillion “slush fund” for errant investors who think that it is just like the NYSE and “The Wall Street Pump“. Surpise! It doesn’t work like that and we have to know what we’re doing – we’re “investing” and we want 100% capital safety and a hopeful return above the rate of inflation. 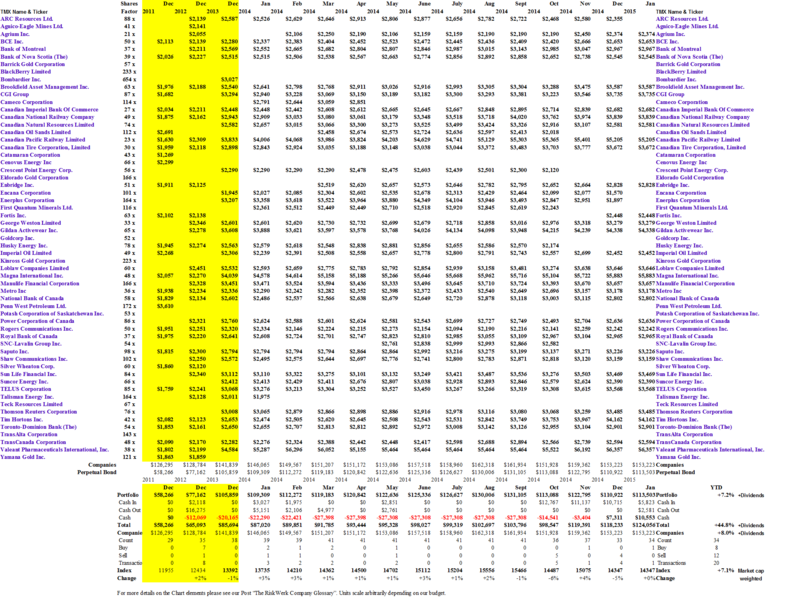 And with due attention to the details, that’s what we we got – +45% in capital gains on the (B)-class companies (between 30 and 40 of them in the S&P TSX 60) and a current dividend yield of 2.9% with a payout-rate of 60.8% of the earnings, such as they were – $68 billion with a few staggering loses that might have been predicted; please click on the links for all the details “(B)(N) S&P TSX 60 Prices & Portfolio, Cash Flow Summary, and Fundamentals“. And for more information on real “risk management” in modern times and additional references to the theory and how to read the charts and tables, please see our Post, The RiskWerk Company Glossary and “(P&I) Dividend Risk and Dividend Yield“, and our recent Posts “(P&I) The Profit Box” and “(P&I) The Process – In The Beginning“; and we’ve also profiled hundreds of companies in these Posts and the Search Box (upper right) might help you to find what you’re looking for, such as “(B)(N) TLM Talisman Energy Incorporated” or “(B)(N) ATHN AthenaHealth Incorporated” or “(B)(N) PETM PetSmart Incorporated“, to name just a few. And for more applications of these concepts please see our Posts which rely on the Theory of the Firm developed by the author (Goetze 2006) which calibrates The Process to the units of the balance sheet and demonstrates the price of risk as the solution to a Nash Equilibrium between “risk-seeking” and “risk-averse” investors within the demonstrated societal norms of risk aversion and bargaining practice. And for more on The Process, please see our Posts The Food Chain and The Process End-Of-Process. 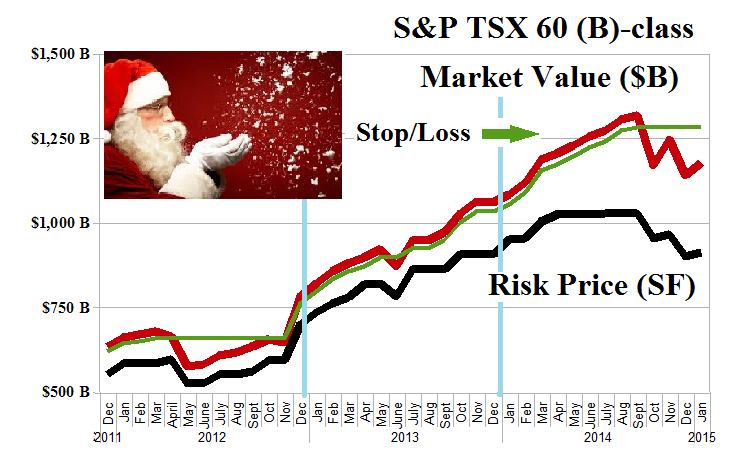 And for more on what risk averse investing has done for us this year, please see our recent Posts on “(P&I) The Easy (EC) Theory of the Capital Markets” or “(B)(N) The Easy (EC) Theory of the S&P 500“, and the past, The S&P TSX “Hangdog” Market or The Wall Street Put or specialty markets such as The Dow Transports & Utilities or (B)(N) The Woods Are Burning, or for the real class action, La Dolce Vita – Let’s Do Prada! and It’s For You, Dear on the smartphone business. And for more stocks at high prices, The World’s Most Talked About Stocks or Earnings Don’t Matter – NASDAQ 100. And for more on what’s Working in America, Big Oil, Shopping in America or Banking in America, to name just a few.